In recent days, some Armenians have been up in arms over increases in electricity tariffs by the evil Russian-owned electricity monopoly that will bring them up to… well, a level slightly higher than in Russia and about 2-3x lower than in most EU countries (don’t you love comparative context?). Discourse in both Russia and the West has now shifted to the familiar template of color revolution. Cookie girl Victoria Nuland was in Armenia last February in a closed meeting with NGOs, which is never a good sign, and the Maidanist Ukrainian elites are salivating over the prospect of a color revolution in Yerevan, with Interior Minister (and ethnic Armenian) Arsen Avakov going so far as to express his support for the “Electromaidan” couched in a bizarre anecdote about his adventures with a thermos in (Ukraine’s) Euromaidan. 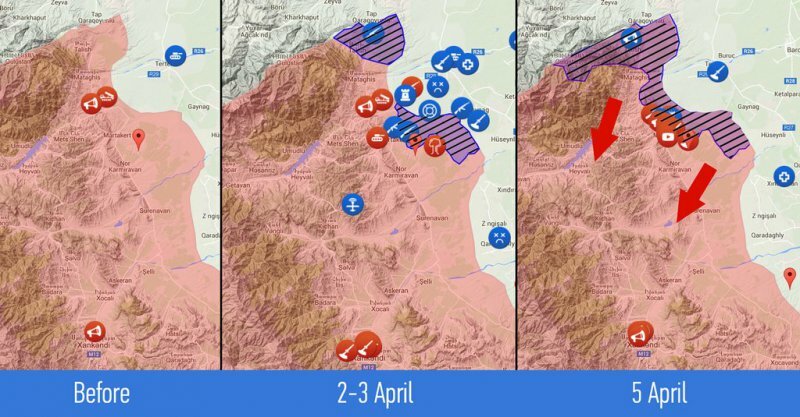 Does this presage the overthrow of Russia’s colonial “puppet” in Armenia and its inevitable transition to the promised land of freedom, prosperity, and end-of-history that all such revolutions inevitably entail? At first, one might have cause to be skeptical. The numbers of protesters has been few so far: No more than 1% of Yerevan’s one million strong population. And while they do include the usual young pro-Western and anti-Russian types, there’s also plenty of older leftists and apoliticals, so for the most part it could be said to be a domestic political affair with no particular connection to questions such as Armenia’s membership in the Eurasian Economic Union or its hosting of a Russian military base in Gyumri. In opinion polls, Armenians are highly positive towards Russia. On the other hand, pretty much of all of this could also have been said of Ukraine’s Euromaidan before November 2013. Azerbaijan does not much like Armenia. The two fought a war in the early 1990s soon after the collapse of the Soviet Union over the territory of Nagorno-Karabakh, which was officially Azeri but populated by Armenians (thanks to Georgia’s Stalin). Occupying favorable defensive positions and enjoying high morale and funds from the diaspora, the Armenians got by far the better of the exchange, and Nagorno-Karabakh has since been de facto theirs, albeit that is hotly disputed by the Azeris and unrecognized by the world community. Azerbaijan is fully committed to revanche, and relations between the two countries are poisonous to an almost slapstick degree. This is mostly amply demonstrated by the case of an Azeri military officer who murdered an Armenian counterpart while on a NATO exchange program in Hungary. Upon being sent back to Azerbaijan to serve the rest of his life sentence, he was immediately set free by Presidential decree, named a national hero, and given a free flat. Azerbaijan is backed to the hilt by Turkey, but is constrained by uncertainty over Russia’s possible response to overt aggression. The two countries maintained a rough parity in military spending until the mid-2000s, with Armenia also benefitting from below market cost Russian weapon supplies. Since then, however, Azerbaijan has surged massively ahead, and its oil-fueled military spending is now higher than Armenia’s entire state budget. It now enjoys an approximately threefold preponderance in air and armor, and its equipment is on average more modern. Once relatively isolated, Azerbaijan now enjoys good relations with Turkey, Israel, the US (especially its neocon/corporatist nexus), and even Russia. A new war between them – absent Russian support – will almost certainly no longer be a repeat of the early 1990s when the Azeris suffered debacle after military debacle. As a result, any even minimally sane Armenian administration will take great pains not to alienate Russia, even if they should come to power as a result of a color revolution. For a country surrounded by two avowed enemies (Azerbaijan and Turkey), a neutral (Georgia), and one lukewarm friend (Iran), alienating Russia would be so phenomenally stupid and counterproductive that it would be functionally close to treason. The discomfiting thing, though, is that said stupidity and chiliastic fanaticism is a feature of all Maidan-like movements in Eurasia. If the Washington Obkom commands them to sacrifice their national interests just to spite and undercut Russia, they will generally do so with pleasure – as happened in Saakashvili’s Georgia and (twice) in Maidanist Ukraine – since if worst comes to worst ,they can always retire to a comfortable position at Columbia University, while it is the ordinary people who are left to pick up the pieces. 23 Comments to "Why Armenia Isn't Ukraine (Probably)"
I see nothing to support such near-certainty. There is no evidence that the Azeris know how to use their new toys, and no national military tradition worth the name. The azeris certainly received a lot of training from the turkish army and is not like the Nagorno-Karabakh militia are some kind of elite force. Wasn’t Armenia subjected to genocide by the Ottoman Turks just a century ago? Oh, yes, Armenias would be “so phenomenally stupid and counterproductive” to piss off the Russians, their only defender in that region. I don't understand your point. At the time of the Armenian Genocide Russia and Turkey were at war with each other. Wasn't Armenia subjected to genocide by the Ottoman Turks just a century ago? Oh, yes, Armenias would be "so phenomenally stupid and counterproductive" to piss off the Russians, their only defender in that region. I don’t understand your point. At the time of the Armenian Genocide Russia and Turkey were at war with each other. I would have expected Vicky’s cookies to be used for goading Azeris into attacking Armenians more than for intra-Armenian strife. And maybe that really is their main destination on that particular front, but the conflict is still frozen. Aliyev is more like a king than like a politician. He inherited power from his father and would like to pass it on to his children. So he shouldn’t be into loot-it-while-you-can kind of thinking. Saakashvili sacrificed the long-term interests of Georgia for his foreign masters and then ran away abroad. That’s not how hereditary rulers think. It’s not that Alieyv wouldn’t like to chase Armenians out of Karabakh. But with Russia supporting Armenia an attempt to do that would probably end in an 08/08/08 type fiasco, and that would be bad for Azerbaijan, so he’s not biting. So Vicky’s cookies have to be spent on this color rev idea instead. At least that’s how I’m interpreting this. You're point about Absolute Monarchs keeping enough loot aside for their children to extract is probably the greatest argument for it; especially in that part of the world. Definitely the centres Egypt, Syria, Iraq would be far better-off it they had retained their monarchs. Which the USSR at least had a large contribution to overthrowing. I wonder how different Russia would be if Putin had a son? That graph's really striking, I know Azerbaijanis have always been spoiling for round-II; but I didn't realise it was [i]that[/i] bad. AK, how strong is American influence in Azerbaijan? They have the oil sure, but with the USA's massive Armenian-diaspora and anti-Muslim feeling; the constraints are narrow. Could Karlin do a series on Russian linguistic-policy? What are the indigenous growth-rates of the Uralic peoples like? Are most of the languages still vital? Is there French-style active-persecution while mouthing-off all the right platitudes? 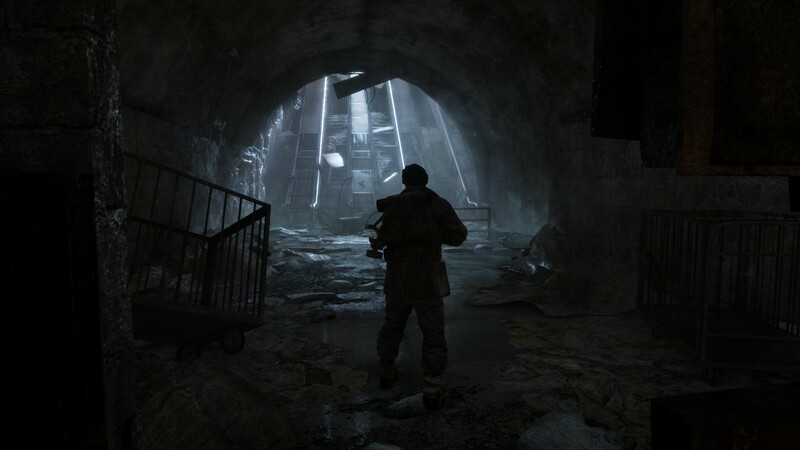 Outside of Chechnya, the picture is pretty murky. Sounds plausible - a not very enthusiastic Plan B using not very enthusiastic players. Absolutely has nothing to do with reality. Russian support for Armenia is primarily cultural and because of massively influential Armenian lobby in Moscow. In reality, strategically Azerbaijan is on the order of magnitude more important to Moscow than Erevan. Azeris received a lot of military technology. It is Russian-made. Russia has no impediments in supplying Azerbaijan with good military hardware. A review of US Embassy cables on the Cablegate web site shows very little involvement in the 2004 Ukrainian election and the Orange Revolution. They gave a hearing to NGO’s reporting their insights as the real opinion of Ukraine. They paid for a 100,000 USD exit poll after the election. That was not as active as Russia which sent Putin to make a speech before the election. The Colour Revolutions, including Occupy Wall Street and similar efforts in the UK owe their similarity to exchange of ideas. In particular to reading and discussing of the works of Srdja Popovic and an American whose name I forget who wrote a manual on overthrowing dictatorships aimed at Myanmar. There are even University courses in non violent revolution these days. Peace Studies is a favourite cover. Colour Revolution US Embassy plot. Not even in Ukraine where any passing oligarch’s security team may have read the book. Nuland’s big threat was to bring John Kerry over to speak for her chosen candidate. Georgia had protests about electricity prices in the 1990’s. In Georgia, the citizens, faced with price rises to replace capital equipment, suspected that factories were given lower rates than the public. It was a very sensitive issue. A foreign firm was bought in to manage the system. No web links. You believe all USG actions in the world are recorded in cables published on that site? The mind boggles. "Nuland: Good. I don’t think Klitsch should go into the government. I don’t think it’s necessary, I don’t think it’s a good idea. Pyatt: Yeah. I guess… in terms of him not going into the government, just let him stay out and do his political homework and stuff. "I think Yats is the guy who's got the economic experience, the governing experience. What does this sound like to you? Who is she to say who should and shouldn't go into the government of another country? And "Klitsch" really didn't go into the government after that conversation. "Yats" did. Watch this excellent British-produced documentary about Boris Berezovsky from several years back. It goes into length in respect to his involvement in the attempt to move Ukraine away from Russia. This documentary would never get made today simply because it makes Putin look like a good guy. Berezovsky had his hands all over the Orange Revolution. The notion that it was purely organic is naive. In particular to reading and discussing of the works of Srdja Popovic and an American whose name I forget who wrote a manual on overthrowing dictatorships aimed at Myanmar. Anyway, don't be naïve. Just because the State Dept. was more on the down-low in Kiev during the 'Orange Revolution' of 2005 doesn't tell us a lot. George Soros, who's a major player in Ukraine, was always pushing the same agenda with his 'Open Society Institute' going back 20 years ago. He does that on his own nickel, so add that to Vicky Nuland's 5 billion. 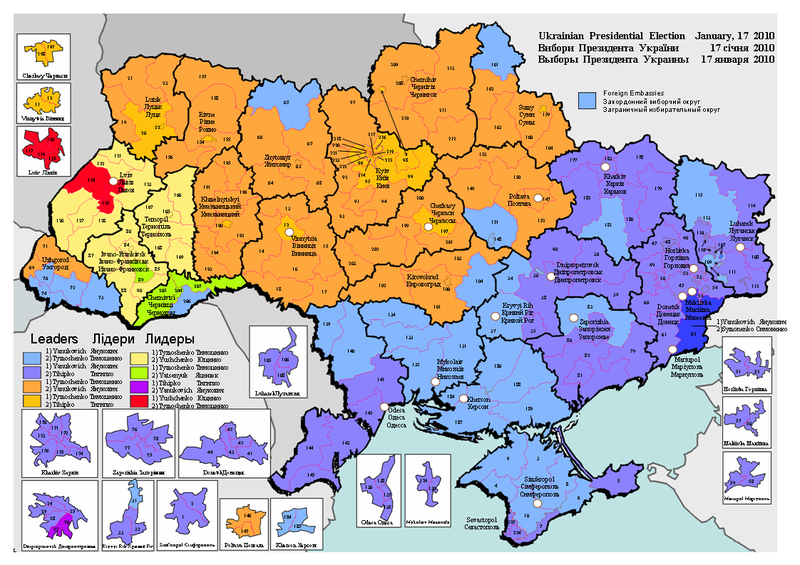 A review of US Embassy cables on the Cablegate web site shows very little involvement in the 2004 Ukrainian election and the Orange Revolution. They gave a hearing to NGO's reporting their insights as the real opinion of Ukraine. They paid for a 100,000 USD exit poll after the election. That was not as active as Russia which sent Putin to make a speech before the election. The Colour Revolutions, including Occupy Wall Street and similar efforts in the UK owe their similarity to exchange of ideas. In particular to reading and discussing of the works of Srdja Popovic and an American whose name I forget who wrote a manual on overthrowing dictatorships aimed at Myanmar. There are even University courses in non violent revolution these days. Peace Studies is a favourite cover. Colour Revolution US Embassy plot. Not even in Ukraine where any passing oligarch's security team may have read the book. Nuland's big threat was to bring John Kerry over to speak for her chosen candidate. Georgia had protests about electricity prices in the 1990's. In Georgia, the citizens, faced with price rises to replace capital equipment, suspected that factories were given lower rates than the public. It was a very sensitive issue. A foreign firm was bought in to manage the system. No web links. “Nuland: Good. I don’t think Klitsch should go into the government. I don’t think it’s necessary, I don’t think it’s a good idea. “I think Yats is the guy who’s got the economic experience, the governing experience. What does this sound like to you? Who is she to say who should and shouldn’t go into the government of another country? And “Klitsch” really didn’t go into the government after that conversation. “Yats” did. Who is she to say who should and shouldn’t go into the government of another country? Who are you to say she shouldn't have a preference? If the Russian state has interests and the right to pursue them so does the American. That's not to say I believe the American state has correctly identified its best interests, only that there's nothing untoward about having them. I would have expected Vicky's cookies to be used for goading Azeris into attacking Armenians more than for intra-Armenian strife. And maybe that really is their main destination on that particular front, but the conflict is still frozen. Aliyev is more like a king than like a politician. He inherited power from his father and would like to pass it on to his children. So he shouldn't be into loot-it-while-you-can kind of thinking. Saakashvili sacrificed the long-term interests of Georgia for his foreign masters and then ran away abroad. That's not how hereditary rulers think. It's not that Alieyv wouldn't like to chase Armenians out of Karabakh. But with Russia supporting Armenia an attempt to do that would probably end in an 08/08/08 type fiasco, and that would be bad for Azerbaijan, so he's not biting. So Vicky's cookies have to be spent on this color rev idea instead. At least that's how I'm interpreting this. You’re point about Absolute Monarchs keeping enough loot aside for their children to extract is probably the greatest argument for it; especially in that part of the world. Definitely the centres Egypt, Syria, Iraq would be far better-off it they had retained their monarchs. Which the USSR at least had a large contribution to overthrowing. That graph’s really striking, I know Azerbaijanis have always been spoiling for round-II; but I didn’t realise it was [i]that[/i] bad. AK, how strong is American influence in Azerbaijan? They have the oil sure, but with the USA’s massive Armenian-diaspora and anti-Muslim feeling; the constraints are narrow. I remember a colleague (now untimely deceased) from Kiev, who has been regularly coming to USA to work for 3 to 5 months per year. Once she brought her daughter, fresh graduate of philology-type department in Kiev, for a visit. I was surprised, how could the daughter find the job in Kiev with rather good salary. It turned out that she was writing something general to a Ukrainian-language-edition of some glossy magazine, kind of a cross between “Cosmopolitan” and “Victoria Secret”. We could not get it. Possibly there was a small part of population in Ukraine, who could afford western goods. But a glossy journal in Ukrainian, paying good salary in Kiev??? Now I understand that the publication of such (actually, rather numerous) magazines was strongly subsidized from the outside of Ukraine. Victoria Nuland explained to all who wanted to hear, that USA spent about 5 billion dollars in 10 years to get influence in Ukraine. By themselves, they were mostly not political publications. But the subsidizing benefactors were quite attentive about the tonality expressed in those magazines. I do not have to explain, what tonality was approved, and what was not. I do not have to explain to USA audience, what was happening to the subsidies to magazines expressing wrong opinions. Example of defenestration of Derbyshire from “The National Review” is relatively fresh in memory. Sure, both ladies were strongly “pro-Maidan”. By themselves, they were mostly not political publications. But the subsidizing benefactors were quite attentive about the tonality expressed in those magazines. Absolutely. Oftentimes, cultural media--both pop and avant-guarde--are far better at subversion than newspapers or overtly political sources, because in the former, subtle messages can fly into your brain under the radar, so to speak. When the typical person reads a real newspaper, their psychological defenses are often engaged. We know that most news sources have some type of editorial bias one way or the other, whether we agree with it or not. In such a forum, a two-thousand word screed against 'Putin's Russia' will be completely predictable, and therefore, somewhat less effective. However, the merest off-hand remark against Russia, or even just one strategically placed adjective, in a 'fashion' or 'culture' publication can have a much more powerful effect psychologically, precisely because it will strike the reader as natural, unforced. It will seem to the reader to this is the now conventional wisdom among the 'beautiful people' that they wish to emulate. Psychologically, this technique mimics peer-pressure more than an appeal to authority. Absolutely. Oftentimes, cultural media–both pop and avant-guarde–are far better at subversion than newspapers or overtly political sources, because in the former, subtle messages can fly into your brain under the radar, so to speak. When the typical person reads a real newspaper, their psychological defenses are often engaged. We know that most news sources have some type of editorial bias one way or the other, whether we agree with it or not. In such a forum, a two-thousand word screed against ‘Putin’s Russia’ will be completely predictable, and therefore, somewhat less effective. However, the merest off-hand remark against Russia, or even just one strategically placed adjective, in a ‘fashion’ or ‘culture’ publication can have a much more powerful effect psychologically, precisely because it will strike the reader as natural, unforced. It will seem to the reader to this is the now conventional wisdom among the ‘beautiful people’ that they wish to emulate. Psychologically, this technique mimics peer-pressure more than an appeal to authority. I just watched the whole 1-hour documentary suggested above by Niccolo Salo. and his specific involvement in Ukrainian affairs looks quite plausible to me. about two other oligarchs: Khodorkovskiy and Luzhkov. The documentary on Luzhkov is the weakest and least important of the three. The one on Khodorkovsky takes a significant turn as it is virulently anti-Putin, mirroring the fact that he was Western Finance's trojan horse in Russia as opposed to Berezovsky who simply could not be trusted outside of a few bought-for politicians in the UK. The one on Khodorkovsky takes a significant turn as it is virulently anti-Putin, mirroring the fact that he was Western Finance’s trojan horse in Russia as opposed to Berezovsky who simply could not be trusted outside of a few bought-for politicians in the UK. Anyway, don’t be naïve. Just because the State Dept. was more on the down-low in Kiev during the ‘Orange Revolution’ of 2005 doesn’t tell us a lot. George Soros, who’s a major player in Ukraine, was always pushing the same agenda with his ‘Open Society Institute’ going back 20 years ago. He does that on his own nickel, so add that to Vicky Nuland’s 5 billion. The movement is fizzling already. I guess no-one who is used to Armenian sweets can be impressed by Nudleman’s cookies. Sounds plausible – a not very enthusiastic Plan B using not very enthusiastic players. Some things to keep in mind about Armenia. 1) The government is dominated by Karabakhtsy, people from Karabakh, and has been since the turn of the century. The last two Presidents have been Karabakhtsy, as are the most powerful people in their Cabinets. The Yerevantsy dislike and despise the Karabakhtsy as dumb country cousins, and they resent the fact that they’ve come up to Yerevan to become rich and powerful at the Yerevantsy’s expense. So that’s a major driver here. A secondary factor is lingering resentment over the unhappy events of March 2008; even Yerevantsy who didn’t support the protesters are still unhappy that the protesters were simply gunned down. 2) The current government is completely committed to the Russian alliance, which as Anatoly point out makes perfect strategic sense. But it comes with some price tags attached. A lot of state-owned enterprises have been sold to Russia over the years — in fact, at this point Russians own everything from the rail system to the largest power plant. There’s some understandable nationalist resentment over that, and then of course Russia gets blamed when services are bad, prices are raised, etc. 3) The Gyumri Massacre. This is crucial. It’s not so much the murders themselves (though that story is gruesome enough) as the response of both governments. If the Russian and Armenian governments had been deliberately trying to piss off public opinion in Armenia, they could hardly have done a better job. The incident also plays into negative Armenian stereotypes of Russians as violent, dangerous alcoholics. (Armenians are convinced that they’re innately or genetically able to handle their liquor much better than Russians.) The resentment over this is still fresh and is definitely an underlying reason for the protests, even if nobody is talking about it. 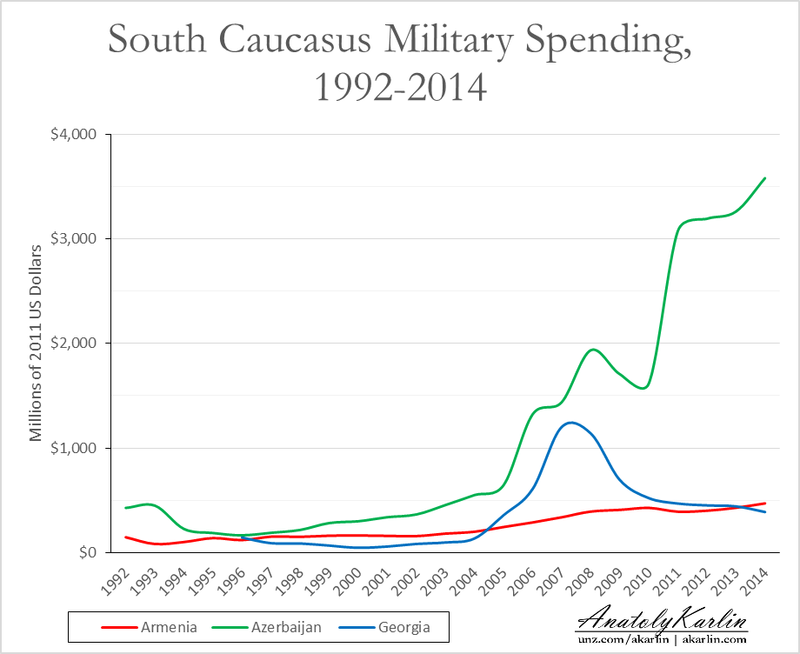 4) A few years ago, that military spending graph was absolutely terrifying to Armenians. As you’d think, right? But in the last couple of years it’s started to have the opposite effect. Why? Because a lot of Armenians have decided that Aliyev will never dare to push the button and start another war. The military buildup is a sham — it’s just to silence domestic critics, make friends abroad with weapons purchases, and put more money in the pockets of the Aliyev family and their friends. I’m not saying that’s right or wrong; just that a certain number Armenians have started to think that way. Who are you to say she shouldn’t have a preference? If the Russian state has interests and the right to pursue them so does the American. That’s not to say I believe the American state has correctly identified its best interests, only that there’s nothing untoward about having them.